Diane Mott Davidson didn't publish her first novel until she was 41. Her mystery novels feature protagonist, Goldy Schulz, a caterer. 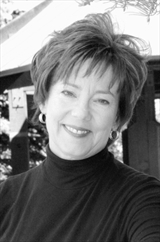 Davidson is a N.Y. Times Bestselling Author and has won multiple awards including being named Rocky Mountain Fiction Writers' Writer of the Year.